Simon Leysen enjoys the perfect start to an Asian adventure. Most cities have a defining landmark in their skyline. New York has the Empire State Building, Paris has the Eiffel tower and the London skyline features the Houses of Parliament. Singapore recently joined Dubai in the small club of cities that have a hotel as their defining landmark. The Marina Bay Sands Hotel, completed in 2010, is an impressive architectural achievement but it is first and foremost testament to the never-ending push for modernity of this city state. Singapore is both admired and ridiculed. This ‘nanny state’ of 5 million is impeccably clean, bordering on sterile, and organized to a level that would even please North Korean choreographers. Yet, the progress it has made since independence is mind-boggling. It is now a regional economic powerhouse. A business friendly government, low taxes and the rule of law (down to imposing hefty fines for a failure to flush public toilets) has attracted business from across the globe and fostered a vibrant local business scene. And it shows. Its litter-free streets are packed with Italian super cars and high end SUVs. But should you go there on holiday? The answer really depends on who you ask. Those looking to soak up history, cute cobble stone streets or nature will be very disappointed. Yet Singapore is still an interesting place to visit, albeit for a short visit. Since the British established a trading post in Singapore in the early 19th Century this quiet settlement has developed into a metropolis that is home to many cultures. Malay, Chinese, Indian and a range of smaller communities make up the melting pot that is Singapore. This mix of cultures, religions and cuisines makes the city vibrant and colourful. 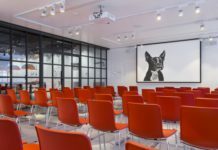 You can stroll through the narrow lanes of China Town, visit temples in Little India and a enjoy G&T at Long Bar of Raffles, all within a few city blocks. Melting pots generally lead to tasty cooking pots. Singapore is no exception. Restaurants are good and there are some true hidden gems. Khansama Tandoori, New Ubin Seafood or the more trendy and upmarket White Rabbit will not disappoint. However, nothing beats the duck in one of the many eateries in Chinatown. Don’t stay for two weeks: unless you are a shopaholic, you will get bored. 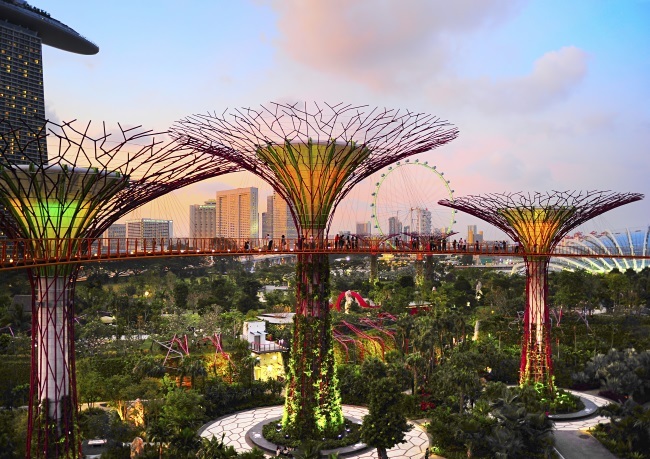 Singapore is perfect for a three-day stopover on an Asian tour. It is hassle-free and a nice change after spending time in some of the more intense Asian cities. You can spend a day discovering the different neighbourhoods, a day Museum hopping, a morning shopping for electronic on the cheap and an afternoon buying gifts in Haji lane. Unless one likes rollercoasters, haunted houses and feels an urge to spend the day at Universal Studios (the Transformers ride actually makes it a worthwhile visit), three days is about as much time as one needs in Singapore. So, not quite Hong Kong, New York or Barcelona, but a pleasant three days. Just don’t jaywalk, it will cost you a thousand dollars. I have heard Singapore referred to as ‘Asia Light’, and that sums up the place in two words. It has the energy of a large Asian city without any of the chaos. This makes it an ideal starting point for an Asia trip; a nice place to relax and get into the Asian groove without being overwhelmed. Singapore is the place to get over your jet lag. It is easy to fly to with direct flights to most European hubs, and Singapore Airlines offers a Business Class experience that is second to none. Street vendors selling a variety of local foods on Smith Street in Chinatown. 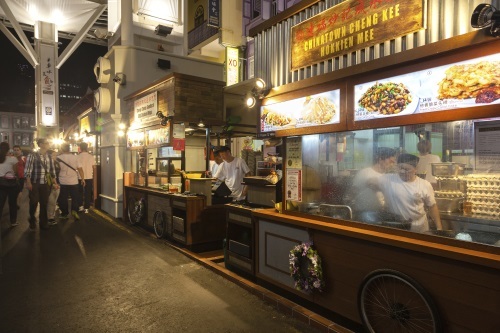 The popular outdoor street dining experience is dubbed the Chinatown Food Street and features food stalls offering authentic local dishes. You can visit all year around. The only thing to watch out for is ‘the haze’, this annual event drowns the city in thick smog caused by forest fires in Indonesia and brings the city to a standstill. Singapore has hotels galore. You can be flash and stay at the Marina Bay Sands or be nostalgic and go for Raffles, both of which will set you back a fair dime. My recommendation would be the Pan Pacific Hotel in the Marina Bay area. This 700+ room, recently renovated property offers superb comfort combined with excellent service and a large choice of dining options including 24h room service which is perfect to get over the killer jet lag.